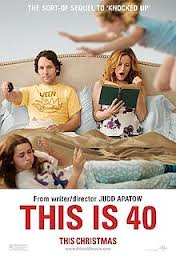 The other night my wife and I watched the movie This is 40. It’s a decent move that had some funny lines and a few parts that we could relate to. The movie focuses on a family of four made up of a husband, wife and two daughters. SJ shook his head, “No. Can you open this?” He handed me a tupperware cup full of juice. Damn muscle tone issues. “Oh, that’s better. It really did sound like you were trying to make a poop. Didn’t it?” BR and I were laughing. “Hey Daddy, remember that Lightning McQueen game?” BR said. He was referring to a handheld game that my wife got the boys a while back to play in the car. Very educational – you can learn about geography and national landmarks. While playing the game recently, BR & I noticed another feature that tops its educational value. When Lightning McQueen crashes, it sounds like he is farting. Lightning McQueen photo courtesy of Google. The next minute our orchestra was in perfect pitch. Lawrence Welk has nothing on me. The boys and I were cackling away. 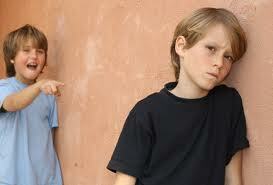 Bullying image courtesy of Google. The advice I offer is a bit more nuanced. I recently advised him about an incident at his lunch table. I told him to firmly say to the bully, “Get up or shut up,” and to report it to whoever is in charge. BR is passive (except when he is around his little brother). While I certainly don’t want him to turn into a bully himself, I don’t want him to be afraid or feel uncomfortable standing up for himself in whatever walk of life. 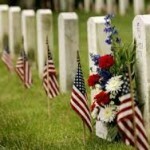 The purpose of Memorial Day is to remember the veterans who have fallen during war. These courageous individuals paid a terrible price to protect our country and the freedoms that we enjoy. They deserve our respect, admiration, appreciation, and attention. However, I wish there was no need for this day. How many lives have been wasted because of war? The number, whatever it may be is too terrible to count. As Bob Dylan said in Blowin’ in the Wind: Yes, how many deaths will it take till he knows that too many people have died. Yet, sometimes fighting/war is the absolute right thing to do. No, it should not be the first option. No, it is not something to be aspired to. But it may be the only solution. We are in the middle of the war on terror. Iran is racing towards a nuclear weapon. North Korea continues to provoke its neighbors and the US itself. I wish these things were not occurring. I would prefer that we could reason with these entities/countries. I would rather we find an accommodation that would satisfy everyone. Unfortunately, all indications including recent negotiations, offers, and discussions point to these entities/countries being unwilling to be reasonable. They are bellicose in their ways and expect the U.S. and the West in general to roll over and allow their desires to come to fruition. President Obama has apparently decided that the war on terror is in a new phase, that there is still time to negotiate with Iran (before they acquire nuclear weapons), and that North Korea can be handled. I believe that the president of the United States is the most powerful person in the world. While the president can attempt to amend and convince other countries of a course of action, he can not decide the desires and the goals of other countries. Nobody has that kind of power. I don’t envy the president. He (and someday a she) has to make the decision when force is necessary. He has to decide when to put soldiers – young men and women – in harm’s way. I hope and expect the president to recognize when force is necessary and pray that he will take appropriate action. There will be more soldiers to mourn and miss on future Memorial Days. I want my son to stand up for himself. I want him to know that he can take care of himself. I want him to use reason and be firm. I want him to work with the authorities that be. If all else fails, I expect him to use force. Maybe not a nuclear weapon, but if he has to throw a punch to express his confidence, I’m ok with that. There are times when one must stand up for one’s self. Memorial Day reminds us of this difficult lesson. When my brothers and I were children, my aunt and uncle tape recorded/interviewed us. My oldest two brothers had a debate on football. My next older brother sounds listed the television shows he watched and the times and channels they were on – he sounded like a human T.V. Guide. Then it was my turn. My aunt and uncle asked me questions such as where I lived, who my best friend was, what school I went too, etc. When they were ready to interview the next person, I asked to do it again. I said, “I can do it better.” I was no more than 6 years old. Do you ever wonder when do you become you? When do you display the traits that stick with you for a life time? Is it when you are five and you are headed to kindergarten? Or maybe, 13 when you hit your teens and puberty? Or is it 21 when you become of legal drinking age? Or is it when you become 30 and gain perspective? Or is it when you are born? When BR, my 9 year-old, was first born his eyes were wide open. I commented on this to the nurse who told me, “Oh that’s common. He’ll shut them soon.” Well, we are still waiting. He is a ball of energy. BR’s latest obsession is with baseball statistics. He carries around two statistics-filled books around the house (when he is not on the computer viewing MLB.com) as if he were Linus and the books were the blanket. His previous obsession, the presidents, seems to have faded away. Maybe, this obsession, statistics, sticks. He gets a job as a statistician, actuary, accountant – something numbers based. Maybe, he is a numbers boy who will turn into a numbers guy. When SJ, my 6 year-old was first born, he came out plump with his eyes half closed. I commented about how he looked so sleepy. The nurse (a different one) noted that many babies come out with their eyes slightly closed. Well, SJ is a great sleeper. He is very content to watch television (though he does enjoy the park and his bike) and charges downstairs when I call out dinner time as if he were a bull exiting the gate at a rodeo. Recently, SJ told me he wanted to be a meteorologist. He used to say Thomas the Train. When questioned as to why a meteorologist, he told me, “This way you get to be on tv and everyone watches you.” His instinct for showmanship is not something new. Every Friday night while we are eating our Sabbath meal, he shimmies on to the coffee table and introduces us to the SJ show. He will sing, tell jokes, and dance. He also bows, says “Thank you, thank you,” and insists that we clap. So, maybe he is a future entertainer of some sort. He is looking for that attention that second children see the first born get. Then, there is me. I think about that tape my aunt and uncle made. “I can do better.” This thought often goes through my head. It both boosts me up and knocks me down. I am proud of my desire to learn, understand, and grow. Yet, the feeling that I can always do better hinders my feelings of satisfaction. Contentment within myself is not something that comes to me easily. 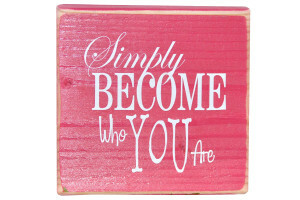 Do you become you at some point and stay you? Recently, an old friend of mine contacted me – of course through Facebook. I had not spoken to her since my early 20’s – nearly 20 years ago. I wonder if we spoke to each other or to anyone else, for that matter, to whom we had not spoken to in an extended time, would they recognize or see the same qualities? I suppose there are a core set of qualities, values and instincts, etc. that one retains throughout life. However, maybe you are becoming you every day. Every day you are you even if you are a new you. The first couple of years or BC – before children – my wife and I never talked about date night. There was no need. We just went out when we wanted to. Staying in was not a terrible option either, wink, wink. Anyway for the first years AC, or after children, we talked about the need for having a date night. Well, we finally committed to it a few years back. We go out once a month. One month my wife handles the arrangements and the next month, it’s my turn. Now, I think that sounds fair, reasonable, equitable. Except it does not work that way. I am the one who ends up pushing to go out and making the plans. I can plan a great date. I have planned plenty for us – if I do say so myself. These days I am not the greatest at planning dates. No, I am not being hard on myself. Half the time, we end up at the Starbucks in Barnes and Noble. We sit in the comfy chairs while sipping our caffeinated beverages and talking about the children. About a mile away from romantic – ehh? It’s actually pleasant and easy if a little staid. In reality, my wife and I enjoy a fun date as much as the next couple. Two issues often come up which tend to make this not occur: Time and Money. Are you familiar with them? 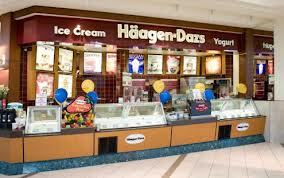 Anyway, our most recent date ended at Haagen-Dazs. You might be thinking to yourself that doesn’t sound so bad. And I would agree. Yet, there’s more. The date had begun 45 minutes earlier in Shop Rite. No, this is not another one of MMK’s food shopping stories. Just being practical – we were out of milk and cheese and so food shopping we went. It was actually quite special. We laughed, we cried, we bonded as we made it to the refrigerated section. Our relationship was at a new level by the time we went through the 10 items or less express lane. From food shopping, we went to AC Moore. I have never been to AC Moore before. I never want to go back to AC Moore. It’s not personal. Anyway, we were wandering around looking for a picture frame. Yup, it was truly fun. I just wish they sold rings so we could have renewed our wedding vowels by the matting section. How special that would have been. At that point in the evening, well late afternoon might be more accurate, we had twenty minutes left till we had to be home. It was then that my wife brought up the ice cream idea. I looked at my wallet and saw I had just $8. When the cashier at Haagen-Dazs said, “That’ll be 6.37,” I smiled and happily handed over the money before joining my wife who had already begun munching on her ice cream cone. Yes, all’s well that ends well. But, I think I need to make a plan next time. Suggestions?